Chevrolet is expanding the capabilities of the Marketplace system embedded in 2017 and newer models’ infotainment systems. Now, drivers will be able to pay for fuel at Shell gasoline stations from the driver’s seat. The system does not require a mobile device or credit card. Instead, drivers will select the Shell icon on the Marketplace and select a Shell station location. Then, a code will generate to activate the desired fuel pump to begin fueling. Billing is done automatically with a payment method on file. 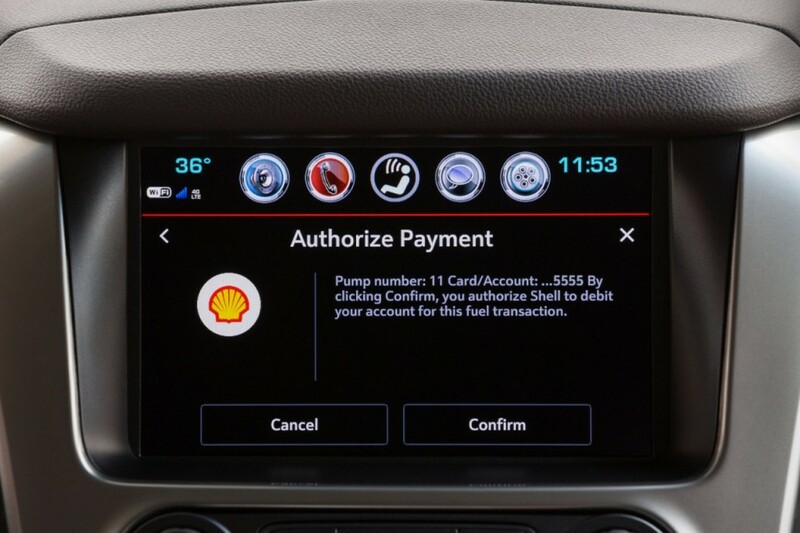 “Bringing the Shell Pay & Save functionality right on the touchscreen of our vehicles is the latest advancement of this platform, allowing drivers to simply access Fuel Rewards and pay for gas while inside their car,” Rick Ruskin, senior manager, Online Commerce, Chevrolet, said. Marketplace launched last December with a host of companies supporting the system. Drivers can shop for accessories and services, order and pay for food and drink at select locations and reserve tables at participating restaurants. The in-dash payment for Shell fueling stations was one of the features mentioned at launch. The in-dash payment ability through Marketplace and Shell is currently still in pilot across a few select markets in the U.S. Chevrolet said it plans to roll out the service to all vehicles in the coming months. Chevron only for my Chev! It’ll be included sooner or later! Chevron is my pick also, but just doesn’t have locations in as many states I travel. Shell is all over the country. How about 76, which is owned by Chevron? I don’t use it but it should be comprable? Don’t you still have to get out of the vehicle to pump the gas anyways? Very few full service stations left anymore. Don’t really see the value here. Pre-Pay, could be raining, you could be in Chicago in January (below 0°) or Parker, AZ. In August where it gets above 120°. Pay while cozy in your ride, step out for a few seconds to start or stop the pump!